Well, corn is already on the stick, but why not make a way more fun. 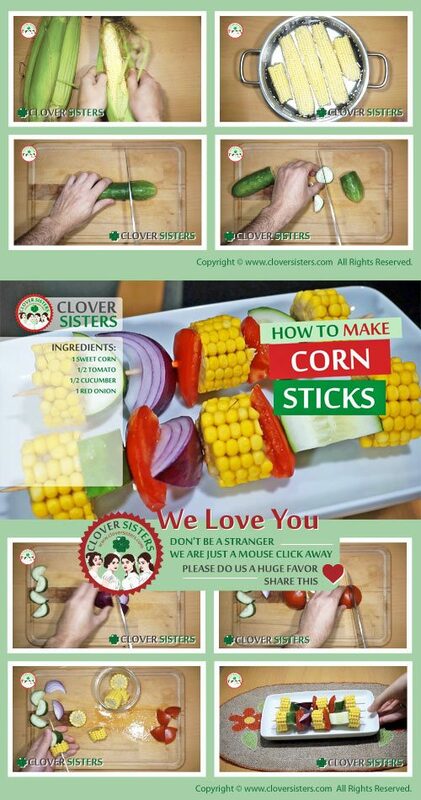 Corn sticks are colorful and funny snack for your children or unusual starter for your party. 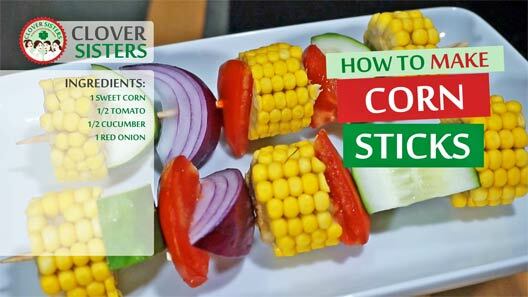 Push on skewers slice of the corn, tomato, cucumber and onion in any order. Decorate with rosemary.